Well let's tell you. 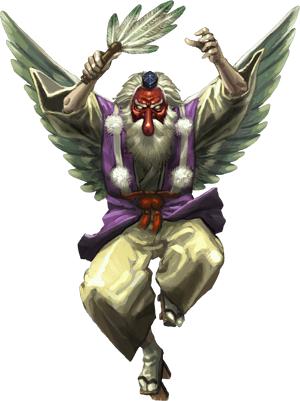 A Tengu is a Japanese mythological creature found in folk. In these mythological stories, the Tengu trains the Samourai warriors. One Tengu can educate a lot of Samourai at the same time. Our on this Japanese based logo, reflects the idea that with one Tengu (platform), you as a company or city can act like several strong Samourai or data experts in real life ;-) The Tengu automation platform creates fast, flexible and future-minded IoT solutions as if you where a team of several data experts, just like one Tengu enables to train several Samourai. Sarah has been our Growth Marketer during 2018.